Recently Chris Tatge, Executive Director of the National Framers Council (NFC), led a series of presentations in Texas converting stick builders to components. As a professional framer, Chris offers a unique perspective to show how roof trusses can be installed with greater efficiencies than stick-framed roofs. Chris shared tips and tricks he’s learned over 20 plus years of framing, showcasing what to do in instances where walls differ slightly from the plans, how to make small adjustments to layout on hip trusses if necessary, and temporary and permanent diagonal bracing tips when installing trusses. The builders were particularly interested in learning about installation times Chris shared for similar sized homes that they build, excited about the potential to increase unit production with their existing framing labor. The audience was presented with Framing the American Dream data and videos, which set the tone for the presentations and prompted questions, creating a valuable dialogue between Chris and the builders. Chris answered questions on how to adjust for off-center attic access framing and addressed concerns about setting trusses with cranes in the Texas market. “There is a very good reason framers in truss markets use cranes. Eventually we all see the savings in time and labor costs a crane can provide.” The majority of roofs framed in this specific Texas market utilize a high degree of manual labor, either through handing up of rafters to be nailed in place or handing up of trusses. Chris suggested that using a crane will allow for quicker installation times and result in the framing crew having more energy to continue working on the project, ultimately acting in a more efficient manner. Chris focused much of the presentation on lateral restrain and diagonal bracing while communicating the value of installing temporary bracing in a manner where it also serves as permanent bracing. Photos of the 2017 BCMC full-scale truss bracing demonstration (pictured above) sparked conversation. This provided a great visual aid to convey the labor efficiency and safety of bracing in the web member plane, while stressing the importance of truss stability. “Bracing from the bottom chords of the truss keeps workers safer and saves you from coming back later because you install your permanent bracing as you go,” Chris explains. “It’s knowing these kinds of tips and tricks that make trusses much faster to install than stick built.” The bracing information was well received and understood by the group, leading to discussion comparing and contrasting current jobsite practices versus the BCSI best practices that Chris uses. The presentation included information about fall protection when setting trusses and a broader overview of FrameSAFE, the safety program developed by the NFC. While OSHA enforcement isn’t as broad in Texas as it is in other parts of the country, the group left knowing about best practices used in other parts of the country and where to go should they need additional information or resources in the future. If you are interested in hosting a similar presentation to the framers in your local market, please contact SBCA staff. Editor’s Note: Jess Lohse from SBCA staff accompanied Chris Tatge to observe and learn what portions from Chris’ presentation can be employed in SBCA’s ongoing Stick-to-Components conversion efforts. 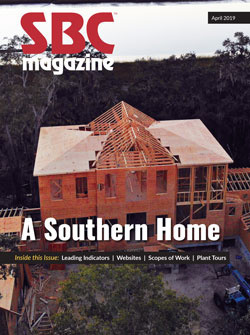 Look for enhancements and additional materials in the near future to bolster SBCA’s market development efforts to convert stick framing to components. 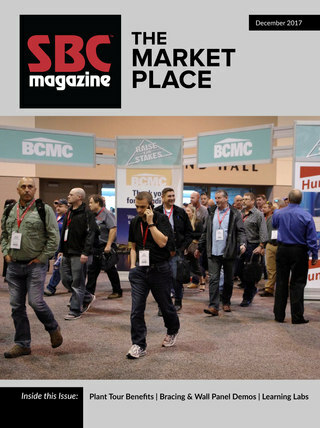 Consider linking to bestwaytoframe.com, SBCA’s latest tool to help CMs expose potential customers and others in their market to the many benefits of framing with components.